Muslims believe that they are to spread the message of Allah until Islam rules the entire world. As we watch the dramatic surge of Islam around the world, we’re forced to ask ourselves if Islam really will become an Islamic one-world government. Many are teaching that the Great Tribulation prophesied in the Bible will actually be Muslims compelling everyone on earth to bow to the teachings of Islam. We can already see, in some countries where Islam is in total control, that Sharia Law has become the supreme law of the land. 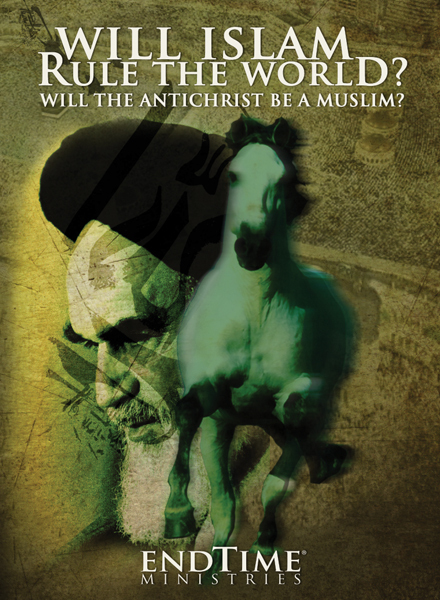 Those who believe that Islam will rule the world also believe the antichrist will be a Muslim. In this lesson, you will see that Islam is clearly prophesied in the Bible, and you will learn whether or not the Antichrist will be a Muslim.